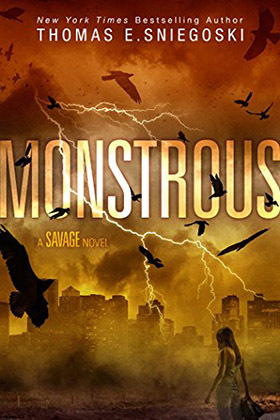 Sidney and her friends must race to find the origin of a storm that has hit their small island home - turning every animal into savage weapons - in this suspenseful thriller from New York Times bestselling author Thomas E. Sniegoski. The future is looking bright for Sidney Moore as she as she gets ready to leave the small island of Benediction behind for one of Boston's top veterinary schools. Only a few small bumps in the road to navigate before she can go - her father's recovery from a debilitating stroke, and her own guilt for ending her relationship with her high school sweetheart. But she's always been strong willed, and she's not about to let anything stop her from achieving her goals. The future is looking bright for Sidney Moore...if only she can survive the storm. 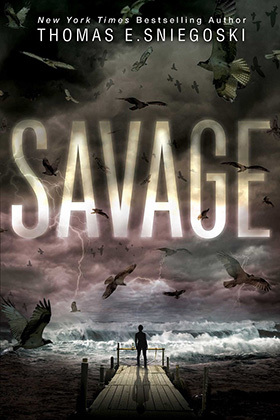 Sidney and her friends might have survived the storm that came to the small island of Benediction, but now the storm has reached Boston, and the city isn’t prepared for what's coming in this sequel to the "unpredictable" (VOYA) and "fast-paced" (School Library Journal) Savage from New York Times bestselling author Thomas E. Sniegoski.